Cut to the exacting standards of Wood Stone (Japan) these hand selected reeds have a jazz unfiled cut, and feature an immediate and flexible tone. Premium quality french cane reeds. Supplied in pack of 5. Hand selected for absoulte quality and consistency. Similar in strength to Vandoren Green Java or Rico Royal. Available in strengths 2.5 to 4 in half size increments. I really like the wood stone reeds , best I've ever tried and haven't found them anywhere else. Please do keep them going! Very soft. Half strength softer than most other makes. 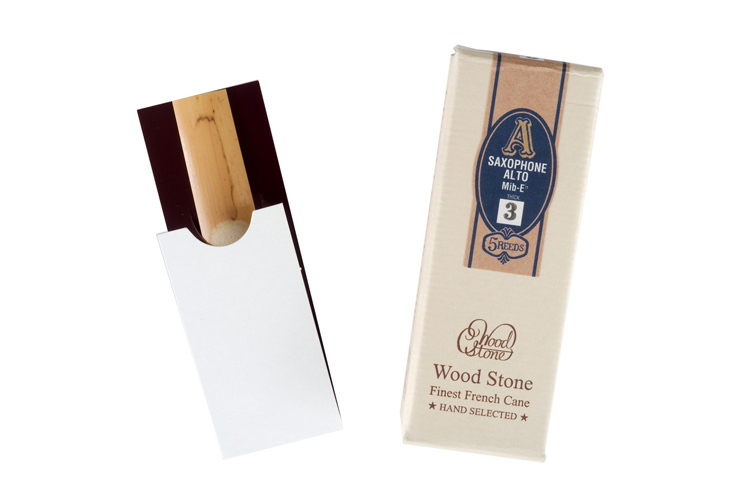 Been informed by Dawkes Music news updates, thought might just have a try with this new reeds, Ishimori Wood Stone Hand Selected Alto Sax Reeds. Surprisingly, this is the better one compared with the other top-named one I used for years. Thanks for the information and good services from Dawkes.